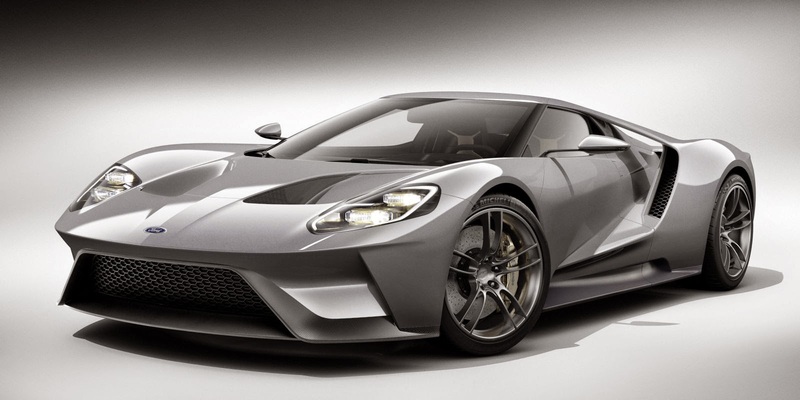 "Ford has once again provided an excellent platform for us to develop our own vision upon," – Jack Roush. You can hear the Stage 3’s Power pulsing through an innovative new ROUSH Active Performance exhaust system. This game-changing system gives full control over the volume and tone coming from a Quad Tip Stainless steel ROUSH exhaust. Select modes ranging from the subtle “touring” mode, dynamic “sport” mode and wide-open “track” mode. With the “custom” Mode you can program your own dynamic profiles with virtually infinite sound possibilities, right from your mobile device. "The RS3’s performance stems from a balanced combination of elements. True performance has many dimensions..." – Jack Roush Jr. The new 2015 Stage 3 Mustang embodies the legacy of ROUSH Performance’s racing heritage. The experience gained through ROUSH racing programs is integrated into every ROUSH Mustang’s chassis, making the 2015 Stage 3 the best-handling ROUSH Mustang yet. Taking full advantage of the 2015 Mustang’s all-new independent rear suspension and pairing it with a standard height adjustable coilover suspension makes for the ultimate balance of performance and streetability. The optional three-way adjustable TrakPak coilover suspension allows for adjustment of height, compression, and rebound, allowing you full control over your Stage 3 in the corners. When the Ford Mustang first appeared not even the engineers of Ford knew that it would still be an industry leader fifty years later. Many concept cars never leave the design studio or if they do get out they must still get past the critics of the annual auto show circuits, but the Ford Mustang has proven itself repeatedly. It’s been over fifty years since the Mustang 1 debuted as a two seat, mid-engine sports car at the world’s fair in 1964 in Flushing Meadows, New York. Debuting at the same time as the World’s Fair showstopper from Ford was the 1964 Mustang, the second concept car and the design that was finally chosen went from production approval to the showroom floor in eighteen months, as both a hardtop coupe and convertible. This fulfilled the vision of company president, Lee Iacocca, whose dream was a small four-passenger car that was affordable for the average person. The further goal was for a car that had the panache of a T-Bird and the frugality of a Model T.
The Mustang hit that mark, and 22,000 units were snatched up across the country on its first day of sales, setting the future of the Mustang in motion. Ford sold over 260,000 Mustangs in its first year of production, with 126,538 sold during the abbreviate 1964 ½ model year and the era of the Pony car was born. Based on the Ford Falcon’s unibody construction and drivetrain, Ford had a solid platform to start with for the Mustang. Engine choices for the first 1964 ½ to 1966 Mustangs were a 2.8-liter, in line six that produced a meager 101 hp. Next up was Ford’s 3.3-liter inline six that gave you an additional 15 hp, along with the associated weight of the bigger engine. By dropping in a 4.3 liter V-8, Ford was able to apply 164 hp to the Mustangs rear wheels, giving it an entirely different demeanor than its six cylinder powered siblings. Not envisioned as a sports car, mechanics and automobile aficionados were not disappointed, however, with the addition of Ford’s legendary, two barrel carburetor, 289 cubic inch OHV V8 that produced 210 hp. Then they took it a little farther. The most powerful engine available on the first generation Mustang was the venerable 289 with a four barrel bolted on, that spun out an adrenaline raising 271 horsepower. Badged as the K-Code equipped Mustang that horsepower rating is middle of the pack by today’s standards, but in 1964 the addition of four barrel, small block V8’s, to lightweight unibody chassis’ led to a new age of the affordable sports car. Offered with a standard three speed manual on all but the K-code that came with a four-speed manual, the four speed was offered as an option on other models, with a three speed automatic offered as an option on all models. In 1967, the competition was bringing in new models and Ford had to step up its game and keep a fresh face in front of the public. Enter the second generation of the Mustang that for two model years, 1967 and 1968. Using the same chassis, Ford expanded the size of the body giving it a bit more length, and fastback got a more aggressive stance by taking the roof slope to the trailing edge of the trunk lid. They replaced the convertibles plastic rear window, with a two-piece glass unit. Power trains showed a modest increase in horsepower but the biggest addition was the 390 cubic inch, “big block” V8, equipped with a Holley four barrel carburetor that Ford shoehorned into the engine compartment. Making 315 horsepower, it now sat on a track that had been widened by 2.5 inches to accommodate the larger engine. In 1968, Ford began offering the two and four barrel 302 cubic inch V8’s that produced 220 and 230 horsepower, respectively. Taking out all of the stops, and with space under the hood for even larger engines, Ford began offering 427 and 428 cubic inch big blocks for the Mustang. Rare beasties, very few of these models can be found today. The first years of the Mustang saw many changes from visionary concept, to what the Mustang became in a few short years. Perhaps it was not designed as a sports car, but the developments over its first few years of production have proven otherwise. Having maintained its style and popularity for a half a century, todays Mustangs are available as lower powered economical four cylinders or as fire breathing, 5.0-liter, 435 horsepower GT’s and still in high demand. Whichever model you choose, owning a Mustang makes you a part of automobile history. only produce 250 examples each year and priced right around $400,000. This is what sources are saying.